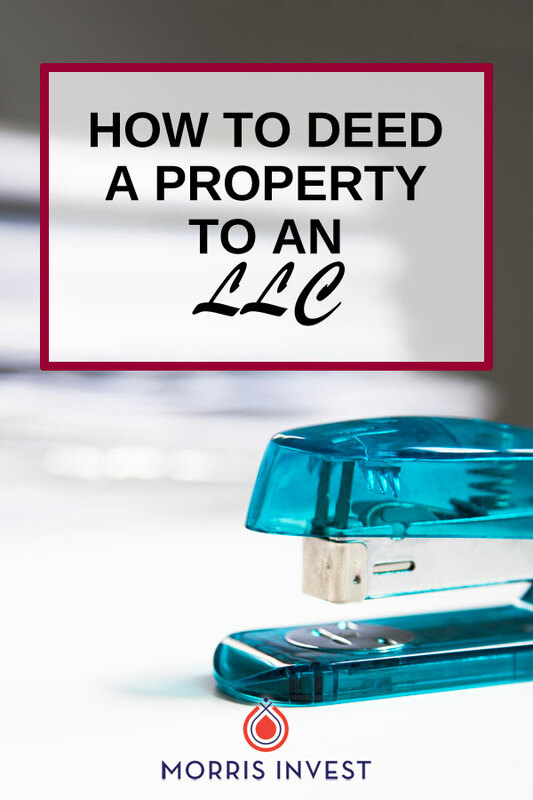 As a real estate investor, there are many reasons why you might need to deed a property to an LLC. We get asked questions about this topic frequently. Since Natali and I recently went through this process, we thought we’d share exactly how it’s done. On this episode of Investing in Real Estate, Natali and I will walk you through the process of deeding a property to an LLC. We’ll share everything you need to know, including banking information, insurance policies, and more. Join us for episode 145 of Investing in Real Estate! The first thing you’ll want to do is transfer ownership. You’ll deed the property from either yourself or the LLC it’s in to the LLC you want it to be in. We have used the services of a lawyer to accomplish this. Depending on your state, you can use either a lawyer or an escrow company. After the LLC is established, you’ll need to get all of the components in place to ensure the LLC runs smoothly. You’ll need to set up a bank account. Take your new EIN number to the bank and ask for a business account. It’s also important to consider how this new setup will affect your insurance policies. Be sure to contact your insurance company to transfer the property to the correct LLC. You’ll also want your property management company to be informed of any changes. They need to know if their check or ACH should be made to a different LLC. If you’re a DIY property manager, then you’ll need to instead inform your tenants. Additionally, you should call the tax department in the county where the property is located. Inform them of the changes you have made. This ensures that your tax bill will be sent to the correct owner at tax time. How much should you anticipate to pay per deed? What is the difference between a quit claim deed and warranty deed? What are the tax implications of transferring a house to an LLC? What should you put in a due diligence spreadsheet? EP144: Panic! Don't Borrow from Your 401k!